See how cruise ships have changed and evolved since you first started reading Porthole. If you’ve been a cruiser for the past few decades (or even years), you’ve no doubt witnessed quite an evolution of cruise ship development. 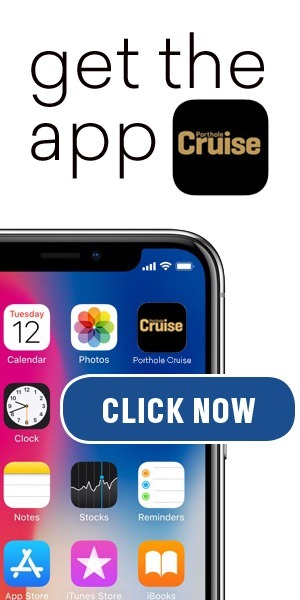 Certainly, we at Porthole Cruise Magazine have seen firsthand the growth and progression of such a flourishing industry. 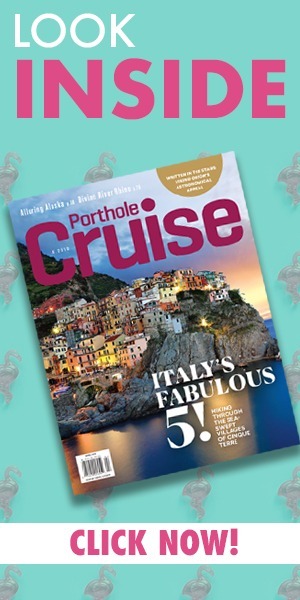 As this issue celebrates Porthole’s 15-year anniversary of hitting the newsstands in 1996, we decided to look back and recount the new ships, their new features, and a whole new world of cruising. We are wowed by how much has changed as cruise ships have truly become floating resorts — and, in some cases, their own destination. There is much focus on the “something for everyone” concept, from lavish spas to rock-climbing walls to a multitude of dining choices. Take a glimpse into the past while you recall the following significant milestones that have shaped cruising as we know it. What’s next? Wouldn’t we like to know. Carnival Cruise Lines’ 101,000-ton Carnival Destiny debuts as the largest passenger ship in the world, with a huge casino and big focus on nightlife, as well as big gym and spa area and the longest water slide at sea — basically the first true floating resort. The ship carries, 2,642 passengers, double occupancy, and is too large to pass through the Panama Canal. Holland America Line debuts Rotterdam VI, the sixth ship in the venerable fleet to bear the name. The 62,000-ton, 1,312-passenger ship is christened by Queen Beatrix of The Netherlands. The ship is fast — boasting the ability to cruise up to 25 knots — and the first with an all-suite “concierge deck” as well as the line’s first alternative restaurant, Odyssey. (Today, it’s the popular Pinnacle Grill). Disney Cruise Line’s 85,000-ton, 1,740-passenger Disney Magic debuts as the first cruise ship designed and built from the keel up for families. (The ship’s horn even blasts “When You Wish Upon a Star.”) The ship premieres Disney movies at sea, and quickly gains kudos for its family entertainment offerings, which of course include a plethora of Disney characters as well as original shows. A new, unique rotation dining system has passengers eating in a different restaurant each night and their wait staff moving with them. Princess Cruises takes over the world’s largest spot with its technologically advanced, 109,000-ton, 2,600-passenger Grand Princess, “The Love Boat” all grown up. The ship includes a wedding chapel, a vast variety of bars and lounges, a mini-golf course, and a disco that seems to float off the back of the ship. The ship was also the most expensive ever built at $450 million. Royal Caribbean’s 142,000-ton Voyager of the Seas not only grabs the world’s largest cruise ship spot but starts a revolution of sorts. The 3,114-passenger ship introduces the first rock-climbing wall at sea, the first ice-skating rink at sea, and a street-like, indoor Royal Promenade that’s the length of two football fields. It’s lined with shops and cafés, features inward-facing Promenade cabins, and also serves as a venue for parades and evening activities. Aboard Norwegian Sky, Norwegian Cruise Line launches “Freestyle Cruising,” which lets passengers do what they want, when they want, rather than adhering to a set schedule. This was especially true of dining flexibility, a philosophy later adapted by all other major lines in some form or other. The ship also debuts the industry’s first Internet café. Celebrity Cruises launches a new class with the 1,950-passenger, 91,000-ton Millennium, which continues the line contemporary design focus. It has a massive AquaSpa that includes a thalassotherapy pool; Olympic, a fancy, reservations-only restaurant; and concierge staterooms. It’s also the first cruise ship with gas turbine engines. Princess Cruises introduces “Personal Choice” dining aboard its 2,600-passenger, 109,000-ton Golden Princess. Carnival Spirit steps off the bigger-is-better trend. The 84,000-ton, 2,124-passenger ship has a two-level, outdoor promenade and Carnival’s first wedding chapel as well as its first steakhouse Supper Club. The 110,000-ton, 2,974-passenger Carnival Conquest introduces a new ship class with a big focus on family cruising — including expanded kids’ facilities and Carnival’s first teen club. Norwegian Cruise Line’s 91,740-ton, 2,224-passenger Norwegian Dawn introduces Garden Villas — the largest suites at sea at a whopping 5,750 square feet — complete with three bedrooms, a living and dining area, floor-to-ceiling windows, and a private patio garden with hot tub. Holland America goes bigger, bringing out its 85,000-ton, 1,848-passenger Zuiderdam, the first of its Vista class. (The basic design would later be used for a number of ships for Holland America and other lines). Crystal Cruises debuts the luxurious 68,000-ton, 1,080-passenger Crystal Serenity, with a Nobu sushi restaurant, paddle tennis courts, a Creative Learning Center offering a variety of courses, and an expanded Computer University@Sea classroom for passengers looking to learn computer skills. Cunard Line’s Queen Mary 2 grabs much attention as the world’s largest ocean liner and the first ship purpose-built for trans-Atlantic service in 35 years. The 150,000-ton, 2,620-passenger vessel introduces first-at-sea features including the first shipboard planetarium and Canyon Ranch SpaClub. Caribbean Princess is the first to bring cruise passengers outdoor Movies the Stars, which are shown on a 300-squre-foot LED screen in the mid-ship pool area. The 110,000-ton, 2,974-passenger Carnival Valor debuts as the first cruise ship with stem-to-stern Wi-Fi access. Norwegian Cruise Line ushers in its resort-focused Jewel class with the 93,502-ton, 2,376-passenger Norwegian Jewel. The floating resort has a Bar Central with lots of imbibing options and 10 restaurants. The line also introduces a ship-within-a-ship concept for those in top villas, who get, among other things, access to a private courtyard with plunge pool. The 81,000-ton, 2,146-passenger Pride of America is launched as the first U.S.-flagged passenger cruise ship in more than 50 years, on cruises of the Hawaiian Islands. Norwegian Cruise Line’s Norwegian Pearl brings bowling to sea for the first time with its four-lane bowling alley in its Bliss Ultra Lounge & Night Club. The ship also features the line’s first rock-climbing wall. Royal Caribbean’s 160,000-ton, 3,600-passenger Freedom of the Seas takes over the world’s largest spot and brings a water focus that includes the first at-sea FlowRider surf simulator, three large pool areas, and an H20 Zone, a children’s water park complete with bubbling geysers, fountains, and waterfalls. The ship also has the largest rock-climbing wall at sea and expanded family-sized stateroom options. The 81,000 Noordam is the first ship to show off Holland America’s Signature of Excellence improvements, including a Culinary Arts Center in conjunction with Food & Wine magazine and an Internet café and library in partnership with The New York Times. Italian line Costa Cruises debuts Costa Concordia, its largest ship ever, with the first-ever spa cabins and a Formula One racing simulator. Cunard’s 90,000-ton, 2,014-passenger Queen Victoria launches with Camilla, Duchess of Cornwall, as godmother and such features as a two-story library, al fresco dining for Grill guests, a Cunard memorabilia museum, and private boxes in its theater. It’s the same basic design as Holland America’s Vista class. The 122,000-ton, 2,850-passenger Celebrity Solstice, the first ship in what would become Celebrity’s successful Solstice class, gets attention for its Lawn Club, a real-grass area complete with a putting green on top of the ship. The ship also has hot-glass-blowing demonstrations in conjunction with the Corning Museum of Glass, but what guests most rave about is the gorgeous, cutting-edge interior design. Holland America debuts its 86,000-ton, 2,014-passenger Eurodam, featuring a deck of private, open-air cabanas you can rent for the day. It’s also the line’s first ship with spa staterooms and a Pan-Asian alternative restaurant, Tamarind. The 113,000-ton, 3,774-passenger Carnival Splendor boasts the fleet’s largest children’s play area, at 5,500 square feet; four swimming pools; an outdoor movie theater; and Carnival’s largest spa and first spa cabins. Royal Caribbean bumps itself from the world’s-largest spot with its $1.4 billion Oasis of the Seas, which breaks records for its length, tonnage, cost, and passenger capacity. The ship is nearly 50 percent larger than any of its predecessors and boasts first-at-sea features such as a zip-line, a hand-crafted carousel, a high-diving show, a Central Park with more than 12,000 live plants and trees, and a production of the Broadway musical Hairspray. Carnival Dream is the first Carnival ship to feature a multi-slide water park, including the world’s longest at-sea water slide (303 ft). The ship also launches the first shipboard social network, Fun Hub, an intranet service where guests can post personal profiles and interact with other guests. The 155,873-ton, 4,100-passenger Norwegian Epic brings lots to sea for the first time, including Blue Man Group, a Cirque Dreams & Dinner show, Legends in Concert celebrity impersonators, the first ice bar at sea, a 200-foot Epic Plunge tube slide, and a whopping 21 dining venues. The ship also introduces the first studio cabins specifically designed and priced for single travelers. And, in a partnership with Nickelodeon, there are Nick-themed events with characters like SpongeBob SquarePants and Dora the Explorer. There’s plenty of memorabilia from the earlier Queens aboard the 92,000-ton, 2,068-passenger Queen Elizabeth, but the standout feature is a Games Deck, a lovely new park-like area on top of the ship, with greens for croquet and British lawn bowling, as well as paddle tennis courts. Royal Caribbean’s Allure of the Seas debuts the first Starbucks at sea, Chicago: The Musical, and a new alliance between the line and DreamWorks Animation that brings special appearances by characters like Shrek, Fiona, and Po to sea. Incidentally, Allure of the Seas bumps out sister ship, Oasis of the Seas, for title of world’s largest cruise ship by measuring just 5 centimeters longer. The 4,000-passenger, 128,000-ton Disney Dream is Disney’s first newbuild in 10 years and is 50 percent larger than its earlier ships. It makes waves with the AquaDuck, the first water coaster at sea, and other cool techno features such as inside cabins with magical portholes that show the sea (via live video feed) enhanced by appearances from animated Disney characters.